Hello everyone, and welcome to this week’s Prayers for the Week post. On Friday, I saw a post about UNC Tar Heel basketball coach Dean Smith. Normally I don’t get into sports, and I don’t know if you are a UNC fan or not, but I was saddened to read about the severe dementia that Coach Smith suffers under. If you have a moment, I suggest you click over and read the article. 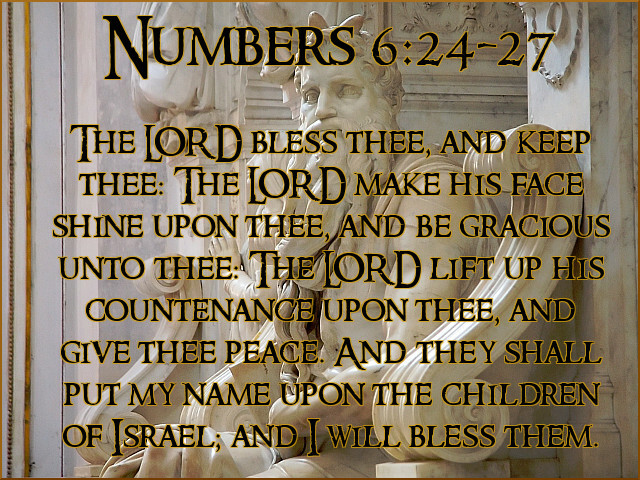 24The Lord bless you and keep you; 25the Lord make his face to shine upon you and be gracious to you; 26the Lord lift up his countenance upon you and give you peace. The Lord give you peace. In reading the article on Coach Smith, that’s the takeaway I was left with — despite the memory loss, despite the fact that Coach Smith is not the same man he was, despite all of that, there are still moments when you look upon him, and he does something like the old Coach Smith would have done — and if you are the recipient of that moment, then you see firsthand the moment of peace that God has granted to you. If you have a moment, I urge you to read the story. I think it will really touch you. Now, please continue reading and pray with me for our prayer requests and praises. Rest in Peace, Stuart Scott. He was a sports reporter for ESPN, and died at the age of 49 from cancer. He is survived by children, parents, his girlfriend, his ex-wife, and many others. Please pray for God’s Peace, Comfort, and Strength to descend upon all of them in their time of grief and sorrow. Taylor Love is out of surgery and in recovery. It was his appendix and luckily had not ruptured!! He did great we are waiting for him to wake up more and then he will be moved into a room. He will be here tomorrow and possibly till Tuesday. Thanks so much for the prayers. God is good and He protected His child!! I was blessed to have had Nan as my mother-in-law for almost 28 years. I’ll miss this sweet woman, but will see her again. May she rest in peace. Please pray for God’s Peace, Comfort, and Strength to descend upon Tracey, her husband, and all of their family, as they mourn the loss of their loved one. Thanks! I need to share two things this morning. The good news first. I am the proud grandmother of Melissa’s little girl–Amapola Nava-born this morning at 3:22 am central and 4:22 eastern time. She has a healthy set of lungs. Marco called 20 minutes after she was born this morning. The other is a prayer need. My father, Walter Mohn, went into cardiac arrest yesterday afternoon at Walmart at Brier Creek. He was not breathing and had no pulse for over 20 minutes. The doctors induced a medical coma last night about 7:00 p.m. The will try to bring him out starting at 7:00 p.m. tonight. My father is 86 years old. I need your prayers. He is in critical care at Rex Hospital in Raleigh. Please pray for Emily’s Dad — for God’s Healing, Peace, Comfort, and Strength to descend upon him and all of his family. Please also pray for and give praise to God for the blessing of a new Grandbaby, and for Emily’s Dad, one of God’s Children. Thank you all for praying! Maureen, my prayers for you are that you realize that deeper walk with God. Of course we’ll pray for your marriage, and for Bobby and his pancreatic cancer. My Grandfather, who died on his birthday at the age of 98, had stage 4 pancreatic cancer — and survived it and went on to live at least 10 more years after — so as cruel a cancer as pancreatic cancer can be, it can be beat. I’ll pray boldly for Healing, for Peace, for Strength, both for Bobby and for all of you and his family, and for Comfort as he undergoes treatment. Lastly, please pray for Coach Smith and his family, and for all of the other families that suffer from such a debilitating disease. Please pray for their Peace, that they still see the smile, still experience the man or woman that they knew before, and that they remember that person as they were and not as they now are.